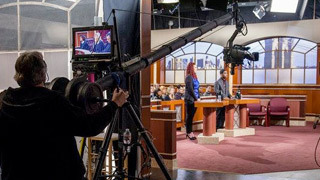 Judge Tanya Acker discusses the start of her legal career working for a federal Judge, and how she applies that experience to her role in this new concept to Court TV Hot Bench. Learn more about Judge Tanya Acker as she talks about being a Judge and the responsibility of preserving justice as well as the importance of impartiality in Part 2 of our 3 part web series "Meet The Judges". Judge Tanya Acker talks about working with two other legal minds and the advantages this unique format provides. She also dives into why she became an attorney as well as what she likes to do in her free time in the final segment of our web-exlcusive series "Meet The Judges". In this video, learn more about how Judge DiMango earned her seat on the bench as a Supreme Court Judge in New York City and much more! 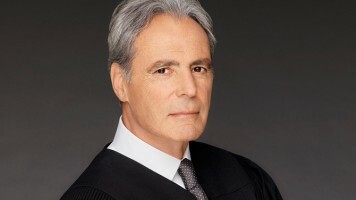 Judge Patricia DiMango talks about her 19 years of experience as a Judge in New York City before the show, her time in California and much more! 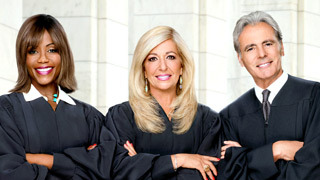 In these web-exclusive interviews we feature all three Judges from out new show Hot Bench! Judge Patricia DiMango talks about the transition from hearing 30-70 Felony cases per day to her cases on Hot Bench. She also discusses the challenges that are presented with three judges instead of one in our final segment of our 3 Part web series "Meet The Judges". Learn about Hot Bench Bailiff Officer Sonia Montejano and the high profile cases she was involved in. 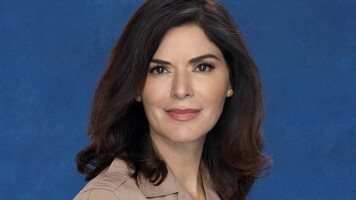 Learn about Hot Bench Bailiff Officer Sonia Montejano and her start in television. Learn about Hot Bench Bailiff Officer Sonia Montejano and some of the hobbies that make her happy.